MAS believes in supporting employees’ professional growth and development. At every stage of their journey, the organisation is there to provide their officers with a multitude of opportunities to learn and grow. Koh Mingming, an MAS Undergraduate Scholar, enjoys a fulfilling career at MAS. Currently a Senior Policy Analyst in the Prudential Policy Department, she shares with us what one can expect as an officer working in MAS. What motivated your decision to pursue a scholarship with MAS? I was passionate about economics in JC, so a MAS scholarship seemed like a natural choice. Furthermore, I relished the idea of being able to attend university in a foreign country in order to gain a different kind of exposure. More importantly, to me, the scholarship signifies an opportunity and a promise to serve the nation. While I greatly appreciated the exposure that the scholarship afforded me, the greatest reward comes after graduation. For me, the MAS scholarship has offered the best combined opportunity of exposure and public service. What are some interesting little-known facts about MAS? You do not need to have studied Economics to work at MAS! We perform a huge variety of functions and there are jobs that could fit just about anyone. Tell us about your undergraduate internship experience. 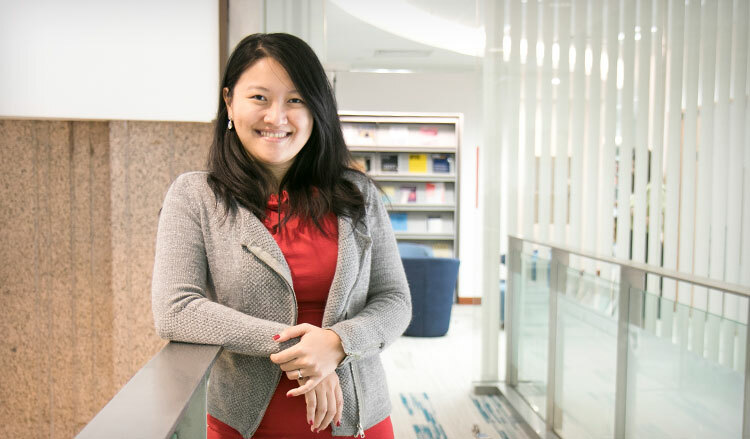 I interned in the Financial Centre Development Department and was supporting the team that was looking into developing Singapore’s insurance underwriting capacity to build an Asian insurance hub in Singapore. This experience gave me a taste of the organisational culture within MAS, which eased my transition into full-time employment here post-graduation. What are some of the more memorable episodes you have had during your career? As a new officer, I was given the same responsibilities as more seasoned officers and expected to rise to the challenge. Two months into the job, my supervisor actually tasked me with handling a presentation to the Managing Director of MAS! I vividly recall how I could hear the trepidation in my own voice echoing around the large boardroom as I gave that presentation to MAS’s senior management. But that experience certainly boosted my on-the-job confidence and showed me how MAS is willing to support its young officers with ample exposure and opportunities! Do you have any advice for those who wish to apply for the MAS scholarship? Just be yourself. There is no particular type of candidate scholarship providers are looking for and it is not possible to keep up a façade forever. You are most likely to find the best scholarship fit if you are honest about yourself and what you want.